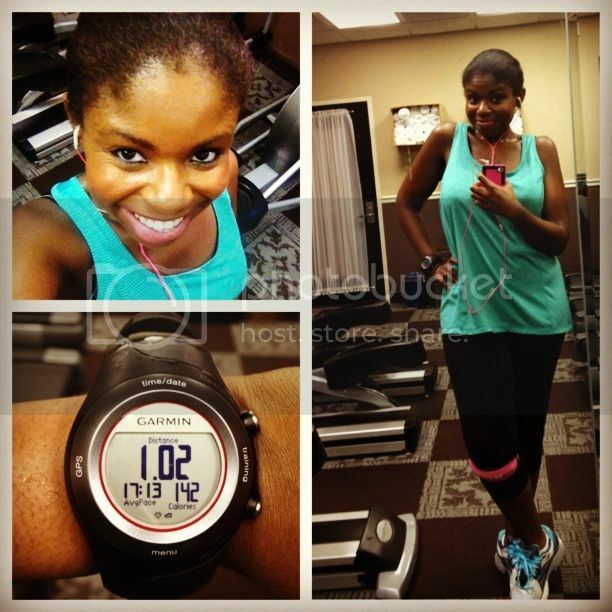 I had a frustrating day at work and by the time I got home, the last thing I wanted to do was run. I decided to go outside and try to calibrate my foot pod, but the stupid thing refused to cooperate. Since the sky was imminent dementor attack dark, I made my way back home and decided that I was going to run on the treadmill until my Garmin said I had done a mile and then call it a day. I'm not sure how far I ran while I was outside trying to calibrate my Garmin, and honestly I don't care. I ran on a day when I didn't want to run and that is good enough for me. After my run I had to go to the grocery store. I was out of pretty much everything important (read Peanut Butter Cookie Larabars, egg whites, and fat free cheese). It had started to rain by the time I got off the treadmill so I got to break in my new rain boots. I wore running tights to the grocery store--as pants. Nobody judge me. It was that kind of day. When I got to the grocery store I was reminded why you aren't supposed to shop when you're hungry. Because impulse purchases make their way into your cart. Among other things, I bought a beef stew and some Annie's cheddar bunnies. It could have been worse. 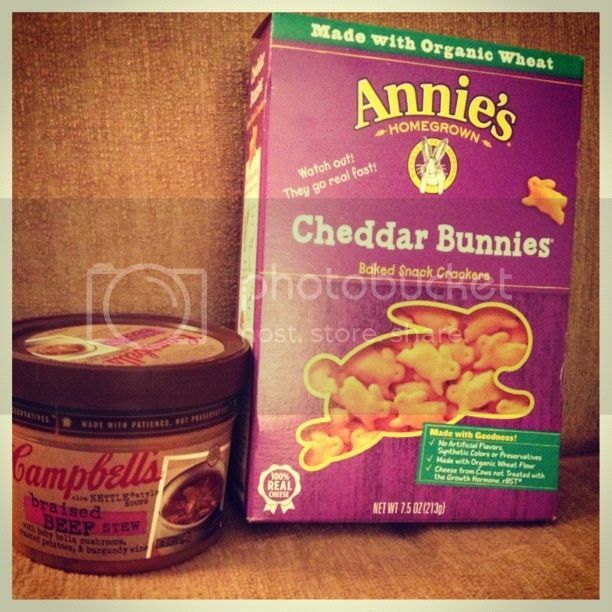 The cheddar bunnies are made with organic wheat flour and real cheese and the soup was only 300 calories for the whole thing. I ate it for dinner tonight . It wasn't bad, but I probably won't buy it again. I haven't tried the Cheddar Bunnies yet. Hopefully I won't eat the whole box in one sitting and end up regretting my purchase horribly when I step on the scale this week.